10 Cool Bollywood Newbies And Their Unique Strength Which Can Take Them A Long Way!!! They belong to today’s generation and they all are people we could take pride of while we narrate to the future generation. These new actors have changed the way we look at Bollywood and are working with more passion and ideas. 1. Tiger Shroff is an outstanding dancer. He is an outstanding, well trained dancer and really good at doing stunts. He can be the next Hrithik and charm the audience. He lacks nothing as an actor. As far as acting is concerned as a beginner he manages it quite well and has many interesting projects coming his way. 2. Alia Bhatt is good at handling criticism. People did make jokes on her and they did sell. And that was a turning point for her as now she became a brand. This made her even more popular which was exactly what she wanted for her career. And her outstanding acting skills in the movie ‘Highway’ is something we cannot deny. 3. Sooraj Pancholi won’t be affected by controversies. He proved himself strong by keeping step into Bollywood even after the tragic death of his ex- girlfriend who was an aspiring actress too. He was blamed for her suicide and had to face many allegations. After all that he dared to face the media and do a film. These incidents will make him even more stronger and fearless as an actor. 4. 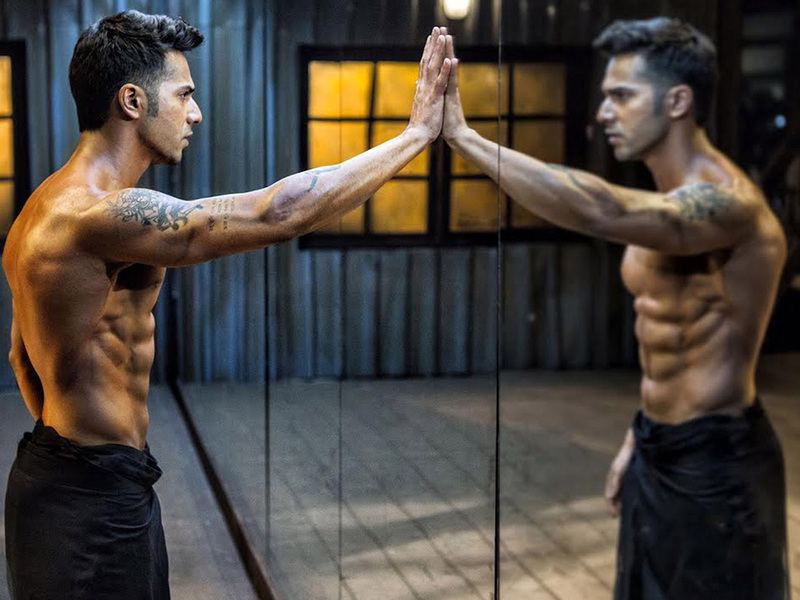 Varun Dhawan is good at proving himself. Earlier we liked the way he looked different, then we liked his acting and now his dancing too in ABCD 2. He sure is working on his skills and looks very competitive. Every time we see him on screen we discover something new. 5. Shradda Kapoor is an all-rounder. She is beautiful and one of the most graceful actresses among the newcomers. She sings well, acting is good as we all saw in her movies and a good dancer too. Her song ‘ Saathiya’ from ABCD 2 was a big hit as she thrilled the audiences with her dancing abilities. In short she is a package full of talent. 6. Sidharth Malhotra is a real charmer. There’s no girl who can hate this guy. He has this charming face which can melt our hearts. With his good looks and perfect body he has also showed his best performances in ‘Ek Villain’ and ‘Hasee Toh Phasee’. 7. Parineeti Chopra is not a typical actress. She is very simple and bubbly. Her “bindaas” attitude makes her look real in every movie she does and her performances look effortless. She goes on without much planning but that works for her as the her beginning in Bollywood was also quite unexpected in her case. 8. Aditya Roy Kapoor is an introvert. People say he is not that social and loves being alone most of the time. We would see him having fun during interviews and public appearances but in reality he doesn’t like entertaining all this. This is good because he can use that valuable time for himself and not get lost in the glamour industry. 9. Kriti Sanon is good at making choices. Well this girl bagged a role in ‘ Dilwale’ with some prominent actors in our industry like Shahrukh and Kajol. She had just appeared in one film ‘Heropanti’ with Tiger Shroff got her into limelight and helped her get a chance to share screen with Shahrukh in her next. 10. Arjun Kapoor is well groomed. Arjun Kapoor as we all know was over weight before getting into films. He got trained under Salman Khan and literally lost 30- 40 kgs which is one whole person. If he can do this he can possibly do anything. His acting skills were appreciated right from his first movie and looked well groomed right from the start. What do you think about these new talents? Comment below!!! 5 Top Celebrity Houses In India Are Insane Display Of Wealth And Beauty !! !